All units share the same size cabinet - 23" x 35" x 12"
Standard Impedance: 6 to 8 ohms (with 12 to 15 ohms available on special order), except for Super 80 unit with its 15 ohm impedance. Two 12" Speakers for the handling of up to 40 watts (Guitars & Keyboards). 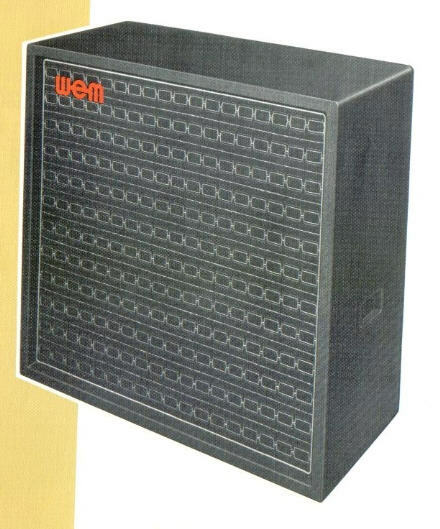 One 15" Speaker for the handling of up to 40 watts (Bass Guitar, Organ, and also recommended for Rhythm Guitar!!). Four 12" Speaker for the handling of up to 80 watts - designed for use with the Monitor Reverb Amplifier Head.